^ a b “A congressman faces foes in Japan as he seeks an apology”. 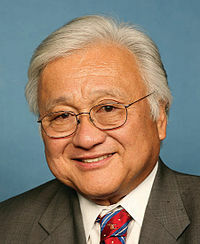 2007年6月6日時点のオリジナルよりアーカイブ。2015年5月12日閲覧。 "Honda, a Democratic congressman and third-generation Japanese-American"
United States Congress. "マイク・ホンダ (id: H001034)". Biographical Directory of the United States Congress.